Mail Online’s use of unverified quotes in a story about a pilot who was denied entry to Chinese airspace in a self-built plane was “significantly misleading”, the Independent Press Standards Organisation has ruled. The story was headlined: “Pilot in DIY 14-foot plane he built in his shed is halted at Chinese border after being ruled a MILITARY THREAT during round-the-world trip” and published on 25 October, 2016. The article reported aircraft engineer Colin Hale had been “halted by armed guards on the border with Russia” and told he “posed a serious aerial threat to the nation”. Hale complained to IPSO the day after publication of the story that it breached Clause 1 (accuracy) and Clause 2 (privacy) of the Editor’s Code of Practice. He said he had not made a number of the comments attributed to him as direct quotes in the article and that he had had not been stopped by “armed guards” on the border, though he had been prevented from flying over China. Hale said the quotes and use of information and an image of him in his plane were taken without permission from his own website and represented an intrusion into his privacy. Mail Online said the article was supplied by a freelance journalist and it had published it in good faith. It said the journalist had spoken to a source in the aviation industry, who had been in correspondence with Hale, from which they obtained the quotes which appeared in the article. Hale told IPSO he had not spoken to any journalists about the incident. Mail Online said the Chinese border is patrolled by the People’s Armed Police, and the journalist had believed that any person prevented from entering the country on the grounds they posed a military threat would have been halted by armed guards. It said other information in the article had been compiled from a variety of online sources, but was unable to specify where. 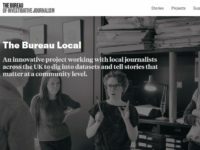 The publication said the article had not appeared on its homepage, or any other channel page at any time, and as such had effectively been published straight to its archive. 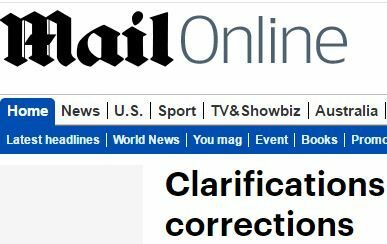 In response to Hale’s complaint to IPSO, Mail Online offered to publish a footnote to the article on 24 January and a standalone correction and apology on 9 February. But IPSO’s complaints committee said Mail Online had carried out a “serious failure to take care over the accuracy of the article” and upheld the complaint under Clause 1. The committee said: “The publication had published an article supplied to it by a freelance journalist. However, in accordance with the principle of editorial responsibility, the publication was responsible for the actions of this journalist. “The publication said that the article had been based on information posted on the internet, and on a source, who had supplied quotations from the complainant, having said that they had been in contact with him. However, it did not provide further details about its sources. “The publication of information obtained in this manner as a series of direct quotations from the complainant, without any steps being taken to verify them, constituted a serious failure to take care over the accuracy of the article, and a breach of Clause 1. “The publication accepted that the claim that the complainant was stopped by armed guards was the conjecture of the journalist. However, this was presented as a factual claim, and was not clearly distinguished from conjecture, in further breach of Clause 1. “The publication did not provide information to demonstrate that the complainant had made the comments reported. On Clause 2, the committee ruled: “It did not represent an intrusion in to the complainant’s privacy to republish the image of him sitting in his aircraft, or to republish information which he had himself published on his own website. The committee said the offered correction “would not be an appropriate remedy to this failure” and called on it to publish the adjudication on its homepage for 24 hours with a headline making clear IPSO had upheld the complaint. Following publication of an article on Mail Online on 25 October 2016, headlined “Pilot in DIY 14-foot plane he built in his shed is halted at Chinese border after being ruled a MILITARY THREAT during round-the-world trip”, Colin Hales complained to the Independent Press Standards Organisation that MailOnline breached Clause 1 (Accuracy) of the Editors’ Code of Practice. The complaint was upheld, and IPSO required MailOnline to publish this adjudication. The article reported that on the complainant’s bid to fly solo around the world in an aircraft he had built himself, he had been halted by Chinese officials at the Russian border who said the he “posed a serious aerial threat to the nation”. 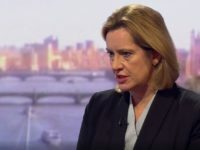 The article claimed that the complainant had been “halted by armed guards on the border with Russia”, and contained a number of quotations from the complainant, in which he expressed his frustration at having been stopped. The complainant denied making the comments expressing frustration at the decision of the Chinese authorities. In addition, he said it was inaccurate to report that he had been stopped by “armed guards”. The publication said that the article was supplied by a freelance journalist, and it had published it in good faith. It said that the article had been based on information posted on the internet, and on a source, who had supplied quotations from the complainant, having said that they had been in contact with him. However, it did not provide further details about its sources. The publication of information obtained in this manner as a series of direct quotations from the complainant, without any steps being taken to verify them, constituted a serious failure take care over the accuracy of the article, and a breach of Clause 1 (i). The claim that the complainant was stopped by armed guards was the conjecture of the journalist. However, this was presented as a factual claim, and was not clearly distinguished from conjecture, in further breach of Clause 1 (i) and a breach of Clause 1 (iv). Attributing the disputed quotations to the complainant was significantly misleading, such as to require correction under the terms of Clause 1 (ii). The principal subject of the article was the complainant’s difficulty in entering Chinese airspace; to claim that the complainant had been “halted by armed guards”, when in fact, he had simply been denied permission to enter Chinese airspace, significantly misrepresented the nature of the incident. This was a further significant inaccuracy. In this case the publication had offered to publish a correction which met the requirements of Clause 1 (ii), and the inaccuracies in this case were not personally damaging to the complainant. However, the Committee was concerned by the severity of the breach of Clause 1 (i) in this instance, which represented a serious failure in the editorial process prior to publication. It considered that the publication of the offered correction would not be an appropriate remedy to this failure, and that the appropriate remedy was publication of this adjudication.